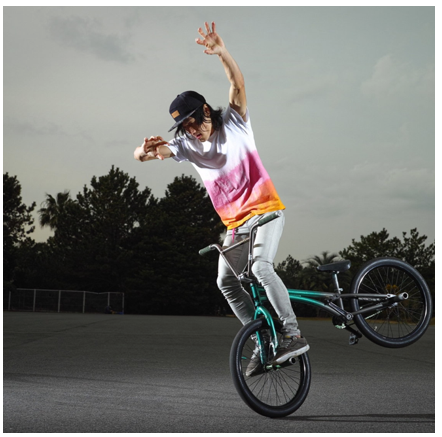 We are going to show you some important things you can do to become a great BMX rider. From beginners’ advices up to more advanced tips to keep you going. You can find all BMX tricks tutorials on Riders.co. You will be able to analyze every trick through the best videos available on the net. From the easier tricks up to the hardest ones. You shouldn’t be skeptical when it comes to starting with small steps. You need to develop your skills as much as you can. And, learning the basics tricks is going do just that! If you are able to learn as many easy tricks and use it as a foundation, then you’re on your way to the big leagues. Say no! to shortcuts and avoid trying things that are way out of your abilities at the current time. If you really want BMX riding to be as natural as possible for you, then you should never skip any steps. The goal is mastering as much easy and basic tricks as you can. Then you can work your way up adding some grade of difficulty to your tricks. You will see improvement effortlessly. You should know that avoiding crazy shortcuts and instead working your way up, is for your own good, and that having a strong foundation of tricks and abilities, will get you anywhere you want on this sport. Don’t be impatient! Aim to master all the basics, working your way up until you have enough proficiency riding. How to select your bike? The first thing you need to know is, that choosing your bike is a great deal, but is actually not that problematic by any means. Just choose the bike that is proportional to your needs. If you’re a big guy, you can choose bigger and heavier bikes than those that are smaller in size. Although you may feel like you have to follow some trends or certain bike brands, is best that you stick to logic here. For instance, your size, weight, style and current financial capabilities are going to play an important role while choosing. All bikes are designed for a specific style, and for that reason, they might work for some things but not for others. It’s not recommended to go and attempt high airs on a racing bike. So, stick to the one that is according to your chosen style. Another thing is to try a lot of models, brands and sizes. Ultimately you’re going to be the sole owner and the only one that should be comfortable on it. If it feels natural to you and it’s affordable, then you’ve most likely chosen correctly. It is undoubtable an amazing strategy to find somebody to teach you every insight there is, all the trick tips, someone that forces you to step up your game. Because the reality of the situation is that, if you only find yourself riding with beginners, your learning curve won’t be as good or beneficial as needed in order to be a great rider. Finding a great mentor can be in so many ways an asset for your learning process. But don’t stop there. We recommend that once you’re getting the hang of it, return the favor to others having the same problems and struggles you had at the beginning. This will well help your ways of analyzing the details of how to make a trick and avoid certain mistakes. Ultimately you will be on your way to be an awesome BMX rider. When you’re reaching out to someone about starting to ride with them, it’s a good idea to consider as a possible mentor a person whose skills are just breathtakingly awesome and has a great future in the sport. Contrary to many people’s opinion, the best and smarter way to ride is by having respect of the sport, the bike and most importantly yourself. You can strongly reduce the risk involved when practicing BMX by simply being aware to take optimal care of yourself, and we’re going to give you just three simple tips on how to successfully do it the best possible way. 1. The first tip is to prevent cramps, muscle and ligament tearing by just creating an easy, quick and effortless stretching routine. Before you hop into your bike, just stretch those legs, arms, body and calves. This advice is way more important than you may think, and people very often take stretching for granted. 2. The second tip is to embrace the safety gear. In order to stay on optimal riding capabilities, you need to use your helmet and body protective pads. It doesn’t really matter if you believe they look “lame”, they are heavy (which is simply not true) or that they can cause you to have a heat stroke. Those arguments couldn’t be farther from the truth. Besides, the reward of staying unharmed beats by many ways any comfortability you might be sacrificing. 3. The third and last tip for optimal safety while riding BMX is, to stay being a rider and not putting into your head any ideas that you know more than the doctor. Yes, we know everybody gets impatient when they get hurt. But if you by any chances do get injured, we recommend to follow step by step all the recommendations they gave you at the hospital. And let time do its job, which is healing your body properly. For example, if you happen to sprain your ankle, please do yourself a favor and leave the cast on, don’t ride before recommended time and go to every therapy session. We can’t stretch this enough! There are always going to be those people that have an aching somewhere on their body, and now you know the reason. This point’s title pretty much explains to perfection what we’re trying to communicate. Arguably one of the best things you can do to ride BMX better every day, is to maintain on the lean side, as opposed to being overweight. This is not an easy sport and it definitely involves danger at certain points. You can get really hurt if your body is not in the best possible condition, and honestly, when you have those extra pounds on you, chances are not on your side. Truth to be told, if you lose weight all of your senses will improve. You’re going to increase your balance, ability to jump more effortlessly, will make faster and more natural movements (In other words, won’t be physically restricted) and you will ride generally better. If you are indeed one of those guys that gain weight easily, then, it might be on your best interest to stop eating unhealthy things and watch carefully what you put into your mouth. You will definitely feel the difference! Progress even in little bits but steadily. This is a must in order to become a great BMX rider. There’s no good enough excuse that justifies lingering on the same places with the same tricks for years. You should show some sort of advancement on your abilities and capabilities as a rider. You can achieve progression by just simply put in practice these three advices. 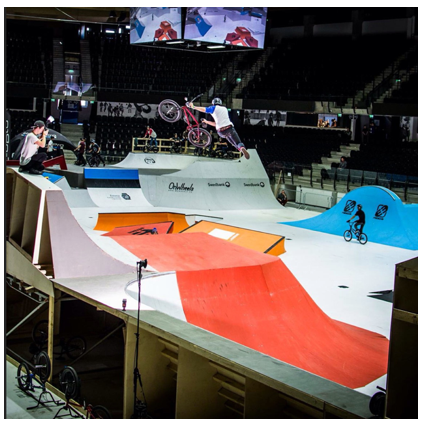 · Write down your trick goals: That’s right! A lot of people actually do this, and we certainly recommend it. Grab a pen and a paper and start writing down all those tricks you’re aiming to do on the near future. Now, we know you might be excited of the idea of landing your first backflip when you’re a newbie on the sport. But, just write simple and manageable tricks that you haven’t been able to land yet. When you do, move on to the next one and repeat the process. It can be a simple trick or a combination. · Always look for a variety of places to ride: You should never take this for granted. There are too many people who find themselves comfortable enough landing a bunch of tricks on the same park. They might be actually killing it there, but when you take them to another place, they can’t manage to ride well enough. This is because their minds are too used to do the same things and place, that they didn’t care enough to get out of the comfort zone. The best thing you can do for constant progression is to go ride on all the local parks and street spots you can think of. · Try to go viral: This can be achieved by many ways nowadays. Get out there and it will eventually happen way easily than if you were stuck riding on your little comfy park! In other words, get off your bottom and expose yourself! Go out there and ride on several BMX competitions, even though you don’t end up winning anything. Another way to get some recognition is to record and edit a high quality video part, and of course, uploading it online. Also, one of the most important things to do is, to practice where all the best are riding. By doing this, you’ll boost other people’s awareness of you. Trying to achieve this will make you go practice every day and push you to go the extra mile, and be nothing but the very the best, achieving a whole new level of skills.